Tracer ES now integrates with Tracer SC, which is used to manage individual HVAC solutions. The web-based systems integration solution provides an online, enterprisewide view of buildings and systems. Can be integrated with non-Trane systems via BACnet. 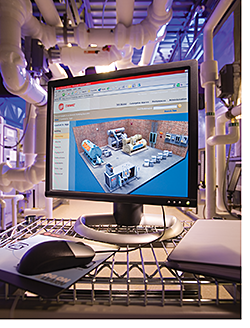 Both Tracer solutions provide online, on-site and remote alarms, monitoring, scheduling, analysis and control via online interface.